At any rate, fall and winter are my very favorite times of the year to knit. And in particular, to knit (and/or crochet) warm sweaters, blankets, shawls and winter accessories like scarves, hats and mittens. So cozy! And this year is no exception. For you knitters out there, ready for some pattern ideas? I've been working on a few things lately that I really love. It ended up being very cute. It's all garter stitch, so fabulous travel or tv knitting. Very warm and squishy and I love the colors. And speaking of garter stitch, my new obsession is a shawl pattern called "Color Affection." 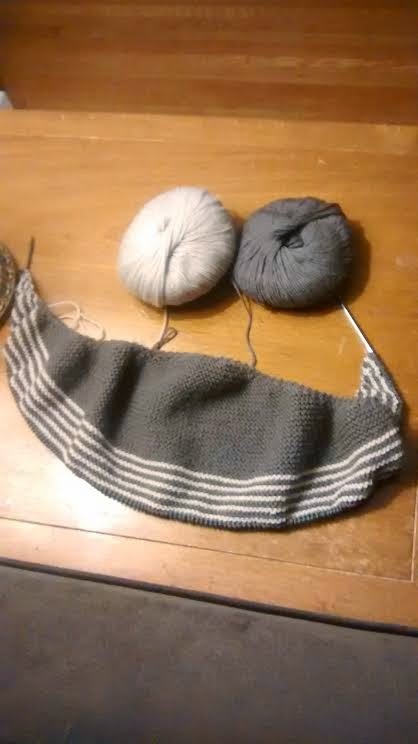 You start with an increasing panel of garter stitch in one color, then switch to striping it with a second color. 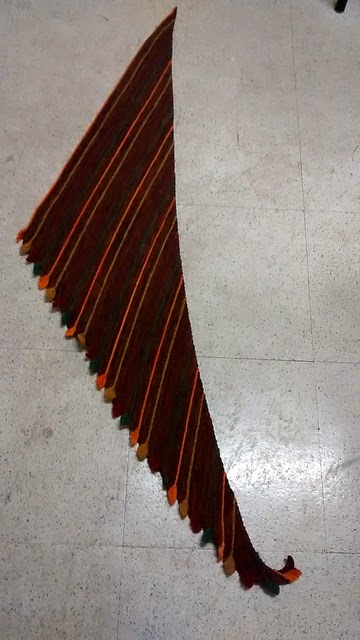 Subsequently, you work short rows to create a bit of a swirling situation and stripe colors one and two with a third color, finishing with a solid border of color three. The color combinations are endless and I am absolutely in love. I still have seven more cream stripes to go. I love patterns like this, that have you doing something different in each segment, changing colors as you move along. I never get bored with patterns such as these, and I can't wait to knit the next row to see how it's going to look. I have been very much enjoying working on this in the evenings. Very Advent-like, yes? :) And yep, that is my vodka/tonic there in the background. Anne gave us a hard time going down for bed, I really needed it, no judging. :0 I was indeed drinking and knitting, living dangerously, that I was. I'm very excited to get started on this. ...and have already adorned my cute hubby's feet over Thanksgiving weekend. (Pattern is from Anne's Budd's Getting Started Knitting Socks, one of the best knitting books I have ever purchased). And the dishcloths will be finished by tomorrow. I just realized that I will have an extra aunt attending our Christmas Eve get-together now, which theoretically means that I should crochet two more dishcloths, but... during the Fusion Beads Cyber Monday sale, I ordered supplies to make her a snowflake Christmas tree ornament instead. :0 Because if I have to crochet yet another dishcloth right now I.will.die. I now know that I'd better behave myself or else I risk an afterlife of crocheting dishcloths in plain white cotton for ALL ETERNITY. I'm slowing working away on my Christmas knitting. 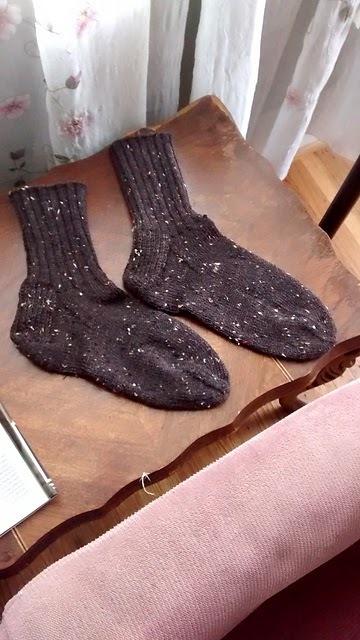 My dad is getting a pair of light brown socks. One sock down one to go. 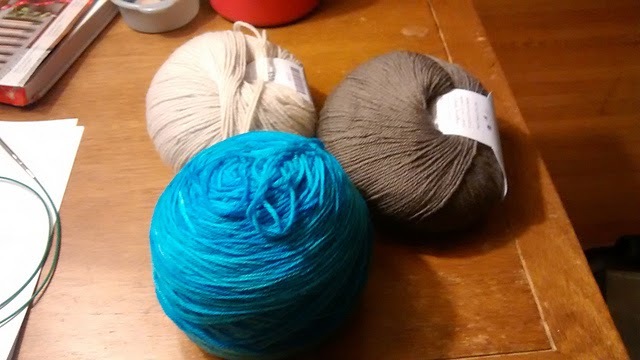 Once my Knit Picks order arrives I plan to start on the Butterfly Lace Scarf. 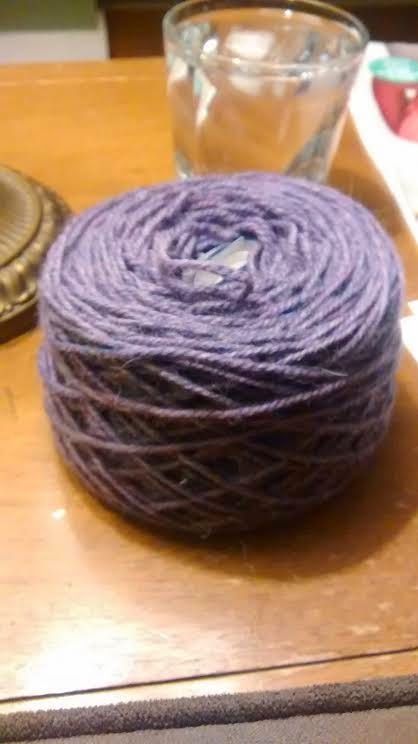 Since it will be my first time knitting lace I'm hoping it goes well. Now I'm off to see if the library has the sock book you mentioned. It looks interesting. You are a knitter after my own heart, Melanie! 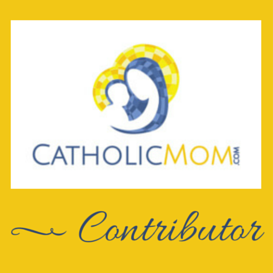 I hope you find and like the book! it's awesome. You just get your gauge, and then follow the pattern for that specific gauge, and she has all sorts of options in there, like you want to add a picot edge, do this. You want to switch rib types, do this. It's amazing.